A perfect gift either for yourself, family or friends. 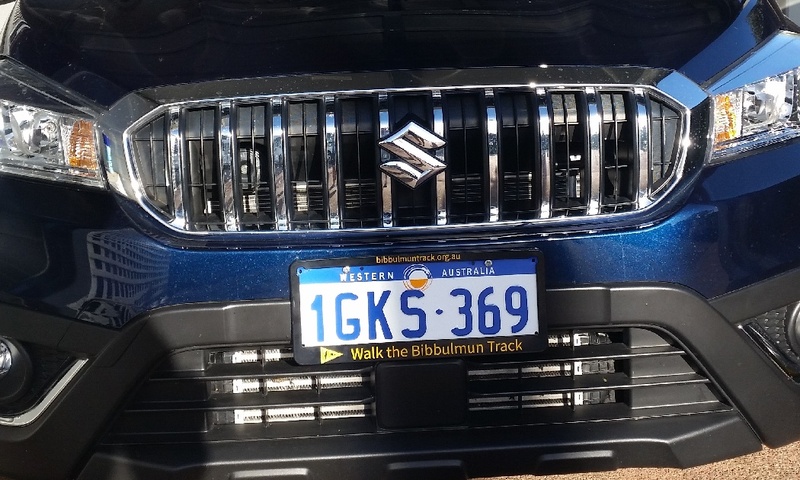 These exclusive Bibbulmun Track branded number plate surrounds are a great way to show off your love for the Bibbulmun Track and help us spread the word about our fabulous world class trail. 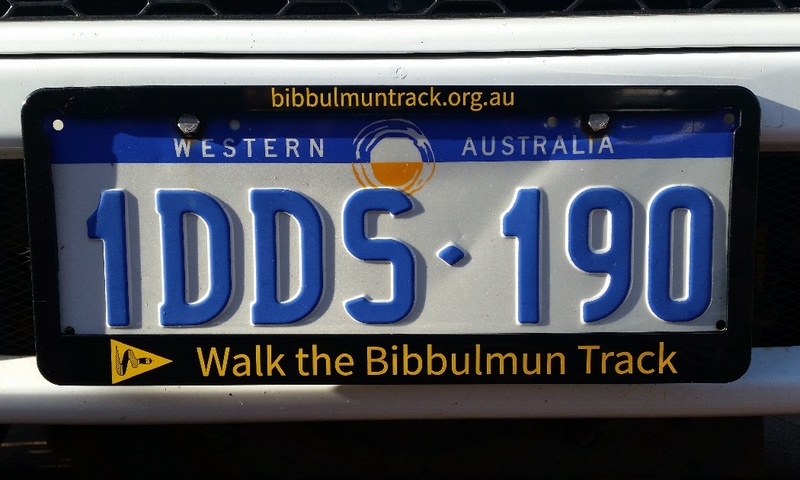 It is also a great way to tell the world that you belong to this amazing community of passionate walkers. Each surround measures 155mm x 377mm. 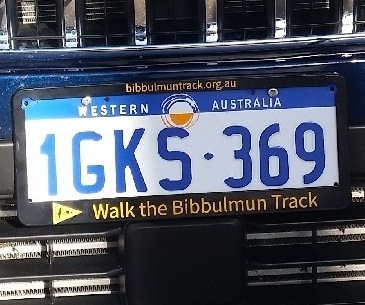 They are a black plastic frame to suit standard Australian number plates, featuring the famous Waugal trail marker, our website address and "Walk the Bibbulmun Track". 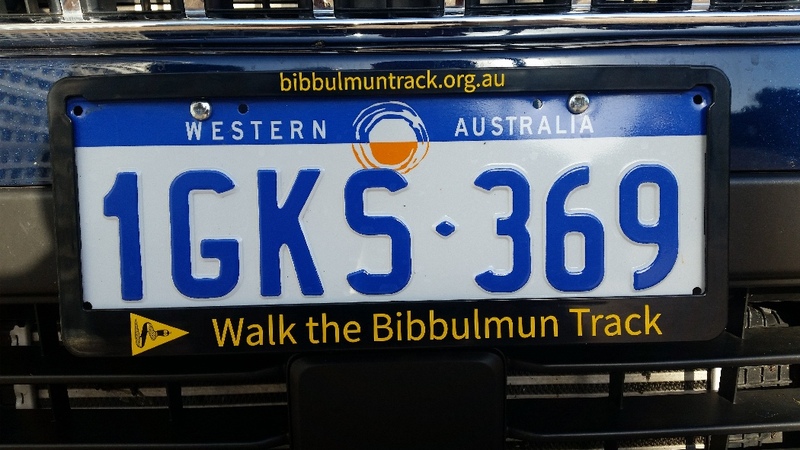 The surrounds come as a set of 2 frames only - one for the front and one for the back number plate of your vehicle. When attaching, it may be necessary to loosen or remove the plate from the vehicle to ensure all clips are in place correctly to avoid the loss of the surrounds.